All Euro Buy-Ins are as a reference only. All transactions will be made in HKD. 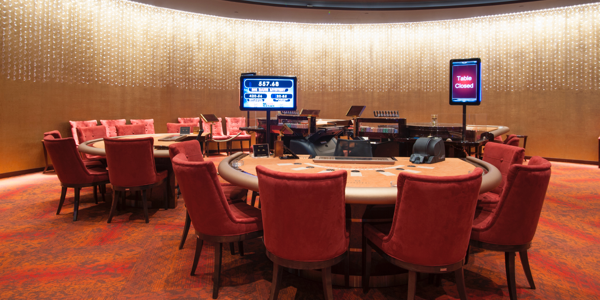 Triton Poker Series reserves the right to change, amend or alter any portion of the above schedule. All tournaments may have their structure adjusted (including but not limited to) levels, level length and days added or subtracted at Tournament Director discretion. 4% of the Prize pool will be withheld as Rake Fee. 2% of the Prize pool will be withheld as Service Charge. Management reserves the right to impose payout option restrictions. Location: Maestral Resort & Casino is located in one of the most exclusive parts of the Adriatic coast, at the very heart of Mediterranean Sea. Completely renovated in the winter of 2017, with its private beach, it is one of the most attractive resorts on the coast, sitting at just 8km away from Budva, which is known for its exciting nightlife and unique Old Town. Premium Park View This room features a private balcony where guests can relax and enjoy breakfast or evening drink overlooking the garden, wooden contemporary furniture, a comfortable king-size bed, work desk, satellite 49’ TV. Direct line phone set, wifi, hairdryer, full body mirror, mini bar and in-room safe deposit box. Premium Seaview This room features a private balcony where guests can relax and enjoy breakfast or evening drink overlooking the Adriatic sea, wooden contemporary furniture, a comfortable king-size bed, work desk, satellite 49’ TV. Direct line phone set, wifi, hairdryer, full body mirror, mini bar and in-room safe deposit box. Superior Seaview This room features a private balcony where guests can relax and enjoy breakfast or evening drink overlooking the Adriatic sea, wooden contemporary furniture, a comfortable king-size bed, work desk, satellite 49’ TV. Direct line phone set, wifi, hairdryer, full body mirror, mini bar and in-room safe deposit box. Cable internet connection is available upon charge. Suite Duplex The suite enjoys two floor levels featuring a master bedroom with bathroom at the upper floor and living room space, with 2 vanity units, separate shower cabin and jacuzzi,, extended lounge area at the lower floor level, and a private balcony per level floor where guests can relax and enjoy breakfast or evening drink with views over the gardens. Wooden contemporary furniture, a comfortable king-size bed, work desk, satellite 49’ TV, direct line phone set, wifi, hairdryer, full body mirror, mini bar, coffee machine, scale and in-room safe deposit box. Complimentary accommodation is only applicable for Premium Rooms at Maestral Resort and Casino. Upgrade options is subject to availability upon request and will incur additional cost on guest account. Hotel booking must be made through Triton before the 28th of April, 2019. Player will need to pre-pay the total amount of accommodation upon Check-In, along with deposit for incidentals. The hotel will release the pre-paid amount once verified that players have met any of the above criteria (A, B, or C). Extension of hotel room is subject to availability and billed to guest account. Different rates may apply. Hotel booking is inclusive of (1) complimentary Airport Pick-Up, and (1) complimentary Drop-Off service. Advanced booking is required. Check-In time is at 14:00. Early Check-In is subject to availability upon request otherwise will incur an additional cost of (1) room night. Check Out time is at 12:00. Late check-out up to 15:00 is subject to availability upon request otherwise will incur an additional cost of (1) room night. Complimentary accommodation is inclusive of daily breakfast for (2) at Terazza Main Restaurant. Exceptions for all above conditions will be handled on a case-by-case basis. There are 2 airports in Montenegro – one in Tivat which is closer to Maestral; and one in Podgorica. From Tivat Airport, it takes approximately 30 minutes drive to the resort. From Podgorica Airport, it takes approximately 1 hour and 15 minutes drive to the resort. Cilipi Airport in Dubrovnik, Croatia. From Cilipi, it takes approximately 2 hours drive to the resort, excluding waiting time crossing the border between Croatia and Montenegro. From Tirana Airport in Tirana, Albania. From Tirana, it takes approximately 2 hours and 45 minutes drive to the resort, excluding waiting time crossing the border between Albania and Montenegro. Hotel bookings made with Triton is inclusive of (1) complimentary Airport Pick-Up, and (1) complimentary Drop-Off service from either Tivat or Podgorica Airport. Hotel bookings made with Triton is inclusive of daily breakfast for (2) at Terazza Main Restaurant. Breakfast Operation Hours is from 07:30 to 10:30. Buffet lunch or dinner is available at Terazza Main Restaurant and cost 15 EUR per person per meal for in-house guests; and 25 EUR for non in-house guests per person per meal. Advanced booking is recommended however not required. Persons holding a Refugee Travel Document issued by a signatory to the 1951 Geneva Convention related to the Status of Refugees; Stateless Persons’ Travel Document issued by a signatory to the 1951 Geneva Convention related to the Status of Sateless Persons; an Alien’s Passport or other travel documents with equal status may enter, pass through, or stay in Montenegro for up to 90 days if a visa has been stamped on the travel document. Holders of a valid ordinary passport, diplomatic, or official passport, accredited to the Diplomatic Protocol of the Ministry of Foreign Affairs and European integration of Montenegro or to whom a special identification card wave have been issued, may enter, pass through, or stay in the territory of Montenegro without a visa. Please note that the above information are for reference only and may change at any time without our knowledge. Please contact your country’s embassy or consular affairs for a much detailed information on visa requirements. 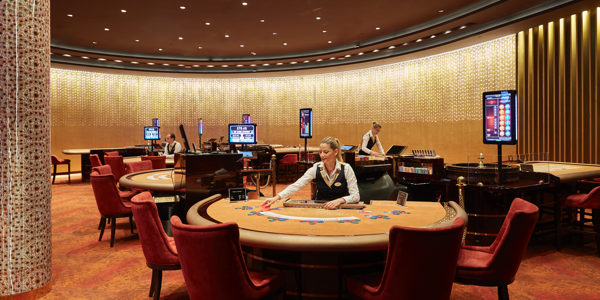 Casino: A new Casino with modern slot machines and various gaming tables, such as Baccarat, Black Jack, Punto Banco, Roulette, open throughout the year, completes the offer with an exclusive privé and entertainment programme. 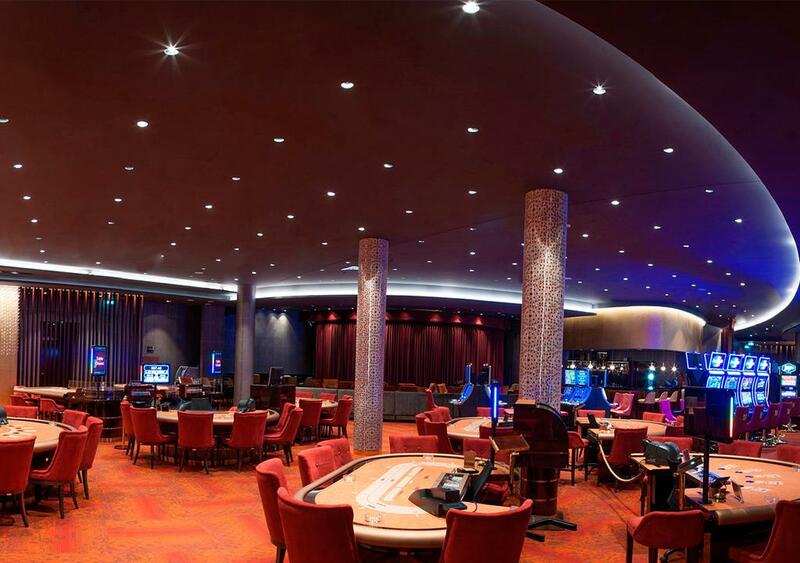 Together with the luxurious Baccarat restaurant, it is what positions Maestral as a major centre of game and entertainment in the region.Dress code – casual.